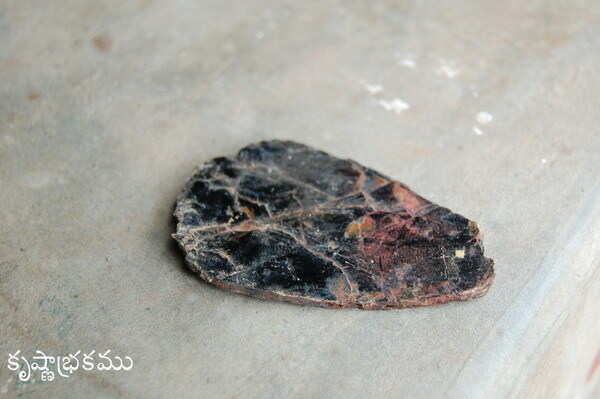 Identification: --- This is a mineral product. There are four verities, white, red, yellow and black, Black and white are used in medicine. It is translucent and lustrous. It can be separated easily into leaves by peeling. 2 Parts used: --- The whole, after shodhana. 3 Preparations: ---- Abrak bhasma. Maha kanaka sindura Rasa. Panchamritha Parpati.